Don't you love an empty beach? 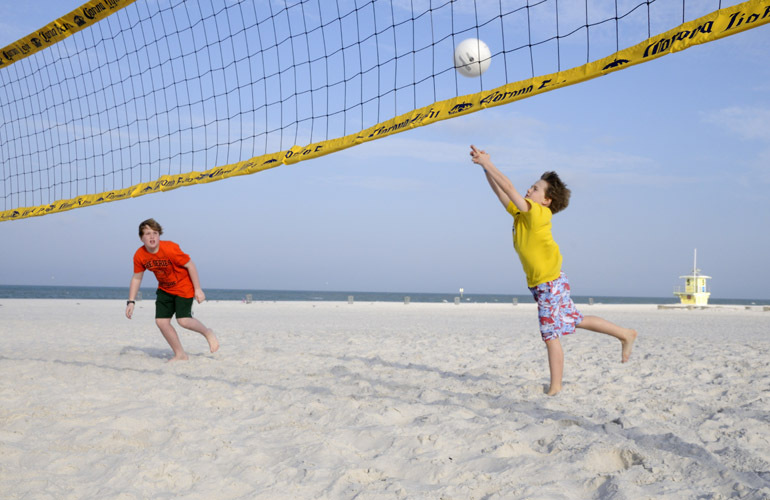 My family enjoyed this one at the Sandpearl Resort in Clearwater, Florida. Don’t you love an empty white-sand beach? My family loved this one at the Sandpearl Resort in Clearwater Beach, Florida, February 2012. Starting at midnight tonight Eastern Time, and continuing throughout the day on Saturday, June 21st, 22 hotels and resorts in Florida, the Caribbean, and Latin America will offer exclusive reduced rates in a Cyber Summer Travel sale. Five-star beach resorts will have suites available at half price, four-diamond resorts will cost just $99/night, and more. You can check out the special offers right now. They are valid throughout the summer and, in some cases, through the end of the year. But the booking window is one day only: June 21st (the summer solstice). The deals that really caught my eye are 50% off beachfront suites at Anguilla’s CuisinArt Golf Resort & Spa; three nights free if you book four at St. Kitts Marriott Resort; and $129 nightly rates at the Lord Balfour in Miami’s South Beach. 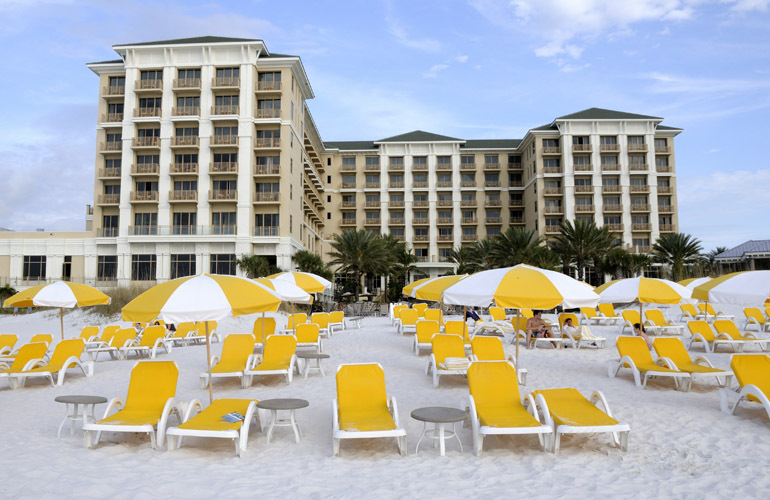 Even one of my children’s favorite beach resorts is included: The Sandpearl, in Clearwater Beach, Florida (near Tampa), where we enjoyed a fabulously kid-friendly vacation two years ago. Hope you scoop up something great! Hiking and Walking Trips: Should You Go Private or With a Group? My husband and I will be in Southern California for two weeks from Oct 3 to the 17. We will rent a car in Palm Springs and plan to tour around. Do you have any advice re finding hotel, car rental and/or restaurant deals at that time?